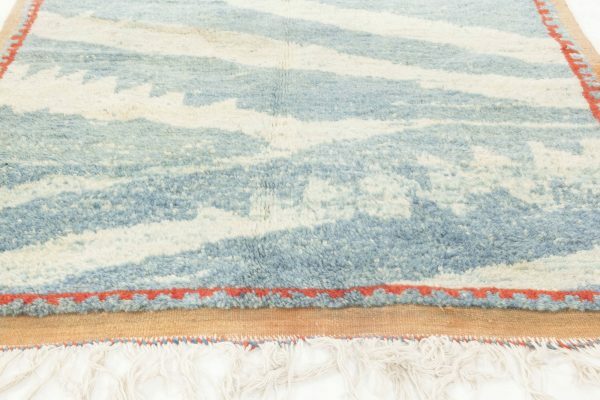 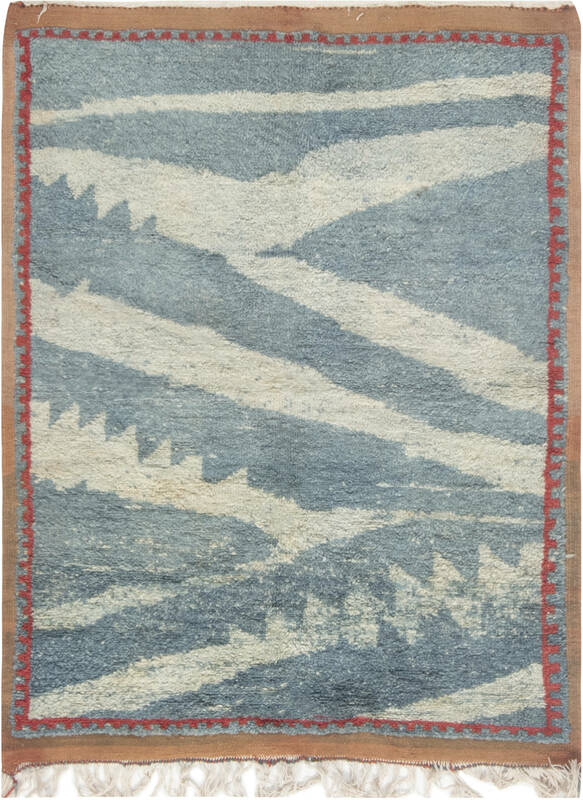 Not so big in size but absolutely grand in terms of design – such indeed is this vintage Moroccan rug. Thanks to the thorough hand-weaving of the finest wool by a skilled artisan, the piece is distinguished by softness and durability which enabled it to survive until this day without the slightest signs of blemish. 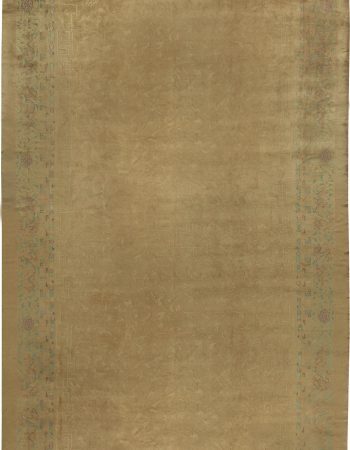 If properly maintained, it will serve its owners many years bringing in timeless chic and a breath of oriental elegance. 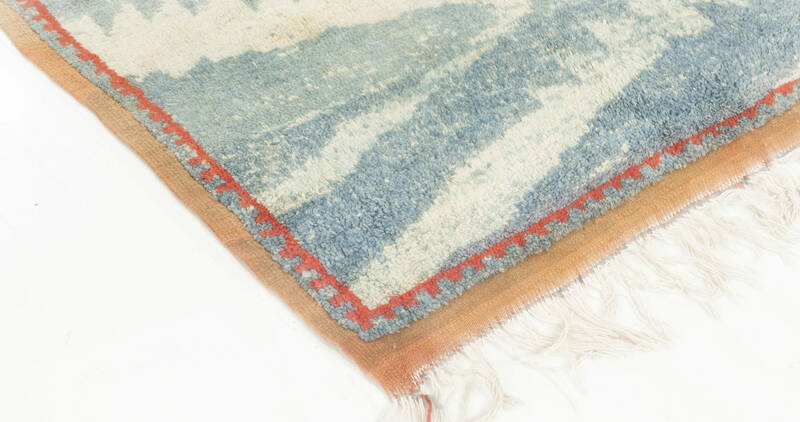 The main field bears an abstract pattern rendered in light and steel blue shades, complemented by a red outline and a pale orange border, finished with an off-white fringe that gives the composition a playful and ethnic feel. 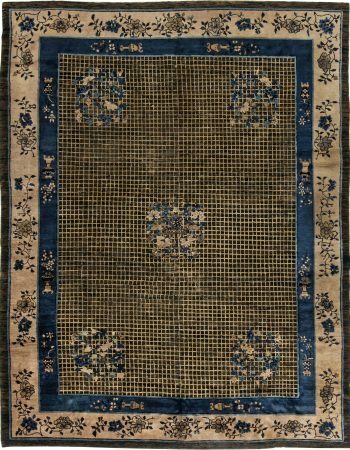 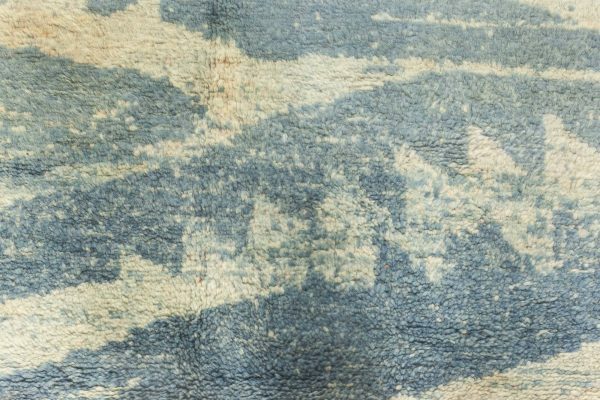 Shaggy, qualitative and charming, this Moroccan vintage rug is a perfect choice for any contemporary interior arrangement. 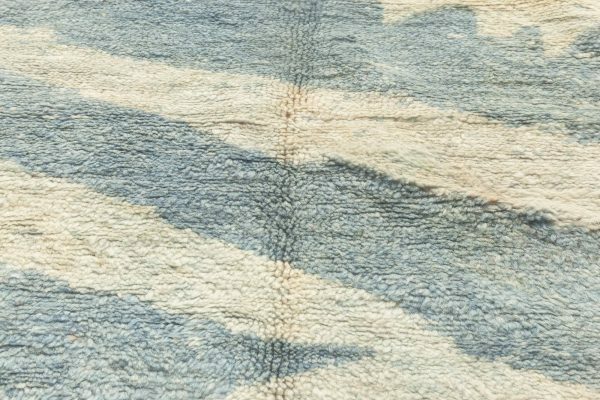 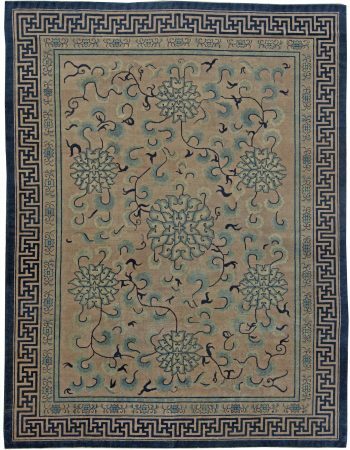 A specialist rug dealer in oriental and western antique oriental rugs and carpets, Doris Leslie Blau’s impressive collection of antique rugs for sale include rare Turkish, Persian and Indian masterpieces, many of which date back to the Medieval Age. 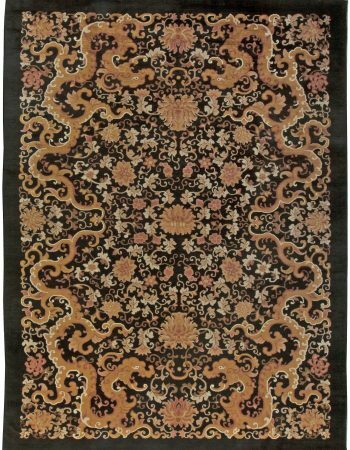 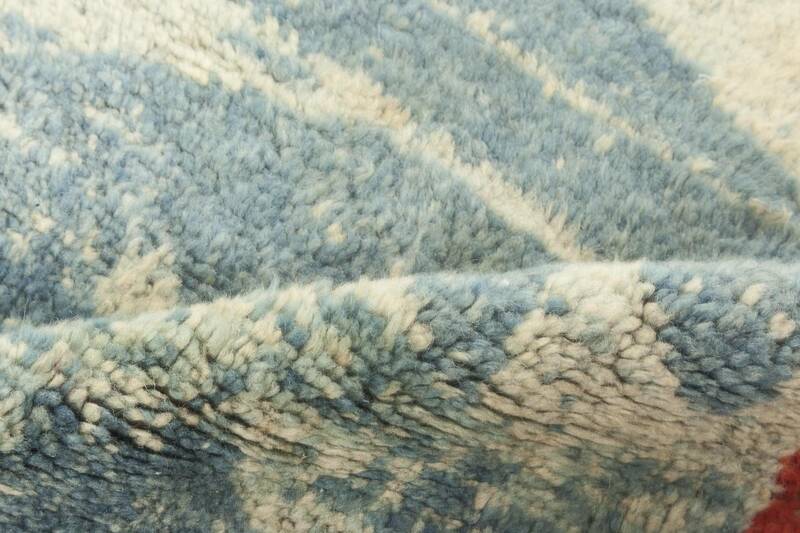 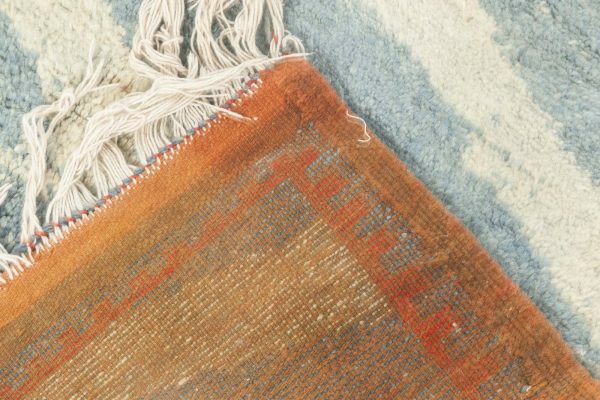 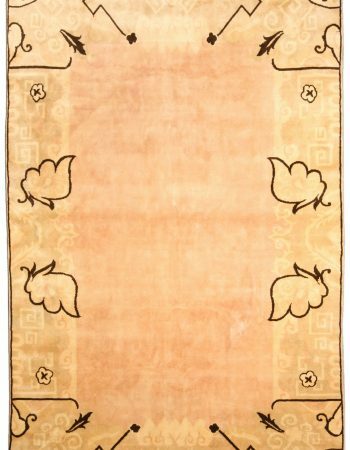 Some of these rugs are so rare that no more than a few exist in the entire world.